New Directions Publishing Corporation, 9780811221795, 48pp. 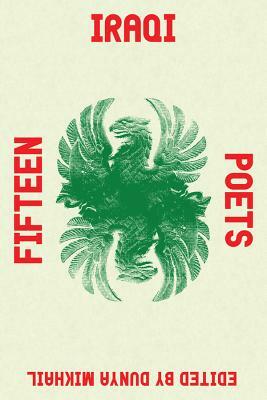 Fifteen Iraqi Poets compiles fifteen poems, each written by a different, prominent twentieth-century Iraqi poet. Selected, with commentary, by award-winning Iraqi-American poet, Dunya Mikhail, this little anthology is the perfect introduction to a glorious literature that traces its roots back to ancient Sumer -- a poetry written by those who have lived through a state of continuous wars and massacres, their laments often opening with a plea to their destroyed homeland, "O Iraq.